Baird Hersey is probably best know as a composer and guitarist. In the '70s and '80s he wrote for and played with his big band "The Year Of The Ear". The group's performances and recordings were highly regarded for their blend of rhythmic percussion and innovative horn arrangements. Hersey's is a National Endowment for the Arts Composition Fellow. His diverse career has encompassed; commissions from the Harvard University, New Mexico Council for the Arts, The Brooklyn Bridge Centennial Sound and Light Spectacular, The HVP Symphony Orchestra, and performances throughout the US and Europe in such different setting as the Berlin Jazz Festival and MTV. He has also composed extensively for television. He has been a student of yoga and overtone singing for 20 years. In 1997 He began the practice of Ashtanga Yoga. The result was a change in his life, his music and his career. "Gathering in the Light" is his 11th album Hersey has recorded for Arista, Buddha, Bent Records and Satsang Music.. He has studied with Sri K. Pattabhi Jois in Mysore India and with The Gyuto Monks. They are all recognized performers in their own right who join together in PRANA to sing this remarkable music. Prana is a Sanskrit word meaning: breath, vital energy, life force. It is also an overtone singing choir comprised of professional singers. PRANA, was formed by Baird Hersey in 2000 to breathe life into the music from his »Waking the Cobra« CD. Over the last three years Prana has performed regularly with Krishna Das. The evenings began with the group performing. Then KD joined them to sing several of his chants over Baird's a cappella arrangements for the voices of Prana. This collaboration was the starting point for their new CD »Gathering In The Light«, which features Krishna Das singing seven of his most beloved chants supported by Prana. Baird and PRANA have performed at a Benefit for The Dalai Lama Foundation, and Omega Institute's »Ecstatic Chant Retreat«. They have opened for Philip Glass and performed as a part of the »Gatherings«, »Tibet House«, »Menla«, »One Voice«, »Woodstock Cycle« concerts series, »The CSO Tsunami Relief Benefit« and many local benefits as well Yoga studios an colleges across the country. Prana has had the honor of giving a personal performance for Sri K. Pattabhi Jois and four pieces from »Waking the Cobra« were used as part of »Live! Light on Life« a performance for BKS Iyengar at City Center in New York City. In 2005 Prana's »The Eternal Embrace« was featured in its entirety for the whole hour of »Hearts of Space«, which airs on more than 230 NPR stations. 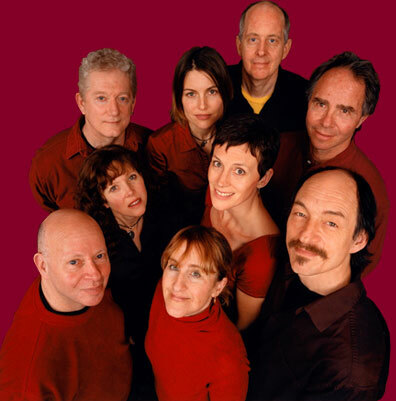 As individuals, the members of PRANA have recorded and performed with James Taylor, Joni Mitchell, The Talking Heads, Dr. John, Todd Rundgren, John Sebastian, Krishna Das, Steve Smith (Journey), Doane Perry (Jethro Tull), Graham Parker, Aine Minogue, Maria Muldaur, Barrie Maguire (the Wall flowers), Wah!, David Hykes, Every Mother's Son, Livingston Taylor, The Fugs, Orleans, Peter Yarrow, Tiny Tim, Rick Danko, Leon Russell, and Jorma Kaukonen. It's a simple idea: gather people together and sing a continuous OM as a meditation for peace. On Easter Sunday March 23rd, 2008 at 6:00 PM EDT, US, people, all over the world, who want to give expression to their wish for peace will gather in groups to join in the sound of many voices singing as one in an extended OM. Thanks for your invitation! Great page, look forward to hear all this Live in Bavaria, sometimes! I love the first video in your page. It's very hypnotic for me! Nice to hear what other people do with overtone singing. wonderful music, thanks for your invitation. It would be interesting to meet you in real life. From 15-20 October approx. I am in the Rhinebeck/Annandale region for a conference on Chinese music at Bard College, keep me posted if there's a Prana concert then somewhere in the region. Good to be amongst friends and people who understand the appeal of the simplest instruments on earth. I posted a video clip on YouTube. You can access it if you search for MadoJazz. Madosini is going to be available in Europe between the 7th and 17th of July. If you hear of any festivals or possible workshops anywhere, she will be accompanied of a little group of musicians including a translator (she speaks beautiful isiXhosa only). Hello, I am a new member Tran Quang invited by Haitians. I am of Ukrainian origin. I practice many traditions of song and singing diphonique for more than 30 years. I lived in France for Lyon.Je makes me each year in Siberia to Tuvinian to deepen my technique. I founded the group "Phenomenon". We are eight votes capella men. I visited your site very interesting. I am glad to know you. I do not speak English, so I translated the message with the translator of Google. Sorry if this is not perfect. Thank you for your music . Relaxing one !